Orange Clover was established in 2014 in Amsterdam as an independent boutique law firm. Our partners are experienced lawyers and have gained a wealth of expertise working at leading international law firms, including Allen & Overy LLP, Linklaters LLP and Loyens & Loeff N.V. We offer high quality expertise and advice in the fields of Corporate/M&A and Commercial, Cross Border Structuring, Finance, Notarial Services and Regulatory. We have particular expertise in the following sectors: Energy, Financial Institutions, Industry and Manufacturing, Investment Management and Private Equity/Venture Capital. We know your business and we know how to get you where you want to be. Whether it concerns a transaction or an advisory assignment, we always provide a tailored service taking into account your commercial objectives and needs. We focus on the solution, not the problem. Although we are happy to use routes that have proven their value over the years, we will certainly not shy away from thinking out-of-the box to get the best result for you. Our approach is hands on, pragmatic and no-nonsense. As a boutique law firm, we are flexible, leanly staffed and efficient. We offer you and your business the personal attention of very experienced legal professionals, as well as all the sophistication, expertise, high quality of work and deep industry knowledge you would normally expect to find at a large law firm. We treasure our relationship with our clients and strive for a long term cooperation. We are independent and do not form part of a formal international network or alliance. We do however have an extensive network of law firms, tax lawyers and professional service providers in the Netherlands and other jurisdictions, which can further assist you in your business needs. We are very happy to act as your main point of contact and to coordinate any transaction. Machiel has over 21 years of experience advising on corporate, finance and investment management work, having worked for amongst others Allen & Overy and Linklaters. 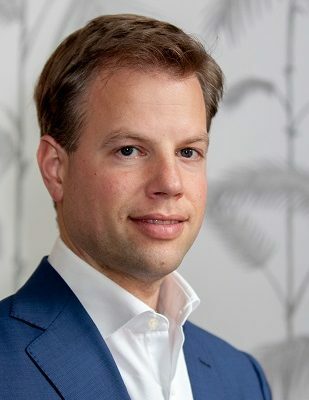 Before starting Orange Clover with the other founding partners, he was co-head of the Investment Management Group of the Linklaters Amsterdam office. Machiel specialises in public and private mergers & acquisitions, private equity, joint ventures, restructurings, equity capital markets, corporate governance and general corporate advice. In addition, he has particular experience in cross border structuring, including setting up and reorganising international holding structures, cross border mergers and demergers, cross border conversions and transfers of seat. Machiel regularly advises investment funds and their managers on the establishment and reorganisation of investment funds, (co-)investment vehicles, club deals and joint ventures and on fund raisings, as well as institutional investors on their investments therein. Machiel also advises on structured finance and alternative funding partnerships and alternative credit structures. Machiel’s clients include national and international listed and privately held companies, financial institutions, energy and utility companies, private equity houses, investment funds and their managers, as well as institutional investors. An overview of transactions in which Machiel has been involved can be obtained upon request. Alex has over 17 years of experience advising on regulatory, investment management, finance and capital markets work, having worked for amongst others Norton Rose and Linklaters. 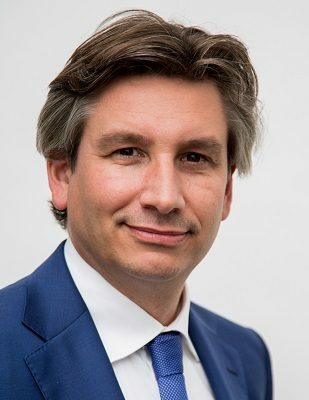 Before he started Orange Clover with the other founding partners, he was head of the Financial Regulation Group and co-head of the Investment Management Group of the Linklaters Amsterdam office. Alex specialises in a broad range of financial markets regulation and investment management work, including advising on licensing requirements for accessing the Dutch market, ongoing requirements for regulated institutions, requirements relating to marketing financial services and products in the Netherlands and enforcement actions by the Dutch Central Bank (DNB) and/or the Authority for the Financial Markets (AFM). 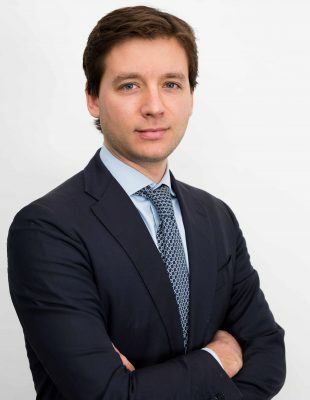 Alex also advises financial institutions and energy and utility companies on strategic issues arising from, and preparation of the business for, the implementation of new (European) developments such as EMIR, AIFMD, MiFID II/MiFIR, PRIPS, CRD III/IV, Solvency II, REMIT and MAR. He has particular experience in assisting and advising clients on obtaining the relevant regulatory approvals from the DNB and/or the AFM for acquisitions and reorganisations of, and divestments by, financial institutions. Alex also advises on alternative funding partnerships and alternative credit structures and on market abuse regulations and transparency requirements. Alex’s clients include domestic and international banks, asset managers, fund managers, investment funds, proprietary trading businesses, custodians, brokers, dealers, investment advisors, insurers, pension funds, trading platforms and other regulated financial services providers, as well as energy and utility companies and listed corporates. Alex is ranked as a leading individual in Chambers Europe in the field of Banking & Finance: Regulatory. An overview of transactions and advisory matters in which Alex has been involved can be obtained upon request. 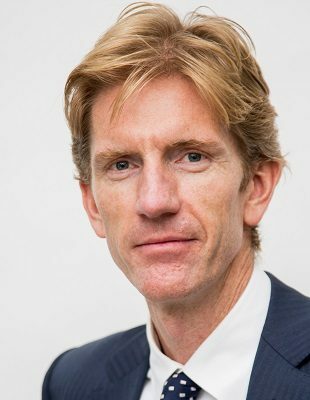 Kees has over 17 years of experience advising on finance, financial restructurings, corporate and public and private mergers & acquisitions, having worked for Loyens & Loeff. Kees advises on all finance related matters, including acquisition finance, high yield bonds, corporate lending, asset finance, trade finance, structured finance, project finance, alternative financing arrangements, Islamic finance and derivatives. Kees also advises on financial restructurings (including pre-insolvency restructuring), distressed debt transactions, public and private mergers & acquisitions, joint ventures, private equity, corporate governance and general corporate matters. Kees’ clients include banks and other lenders and borrowers, national and international listed and privately held companies, financial institutions, private equity houses and real estate funds. An overview of transactions in which Kees has been involved can be obtained upon request. experience Mark has over 13 years of experience advising on corporate matters having previously worked for Clifford Chance from its Amsterdam and London offices. Mark advises on all corporate matters and specialices in private mergers & acquisitions, joint ventures and restructurings. Mark’s practice in particular focuses on general M&A, (growth) investments, (renewable) energy M&A and projects and distressed M&A. Mark’s clients include national and international listed and privately held companies, private equity houses and financial institutions. 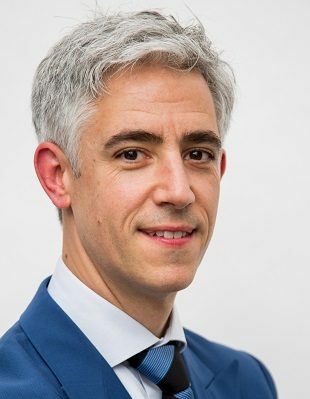 Marcel has over a decade of experience advising on corporate law and investment management, having worked for De Brauw Blackstone Westbroek and Linklaters. 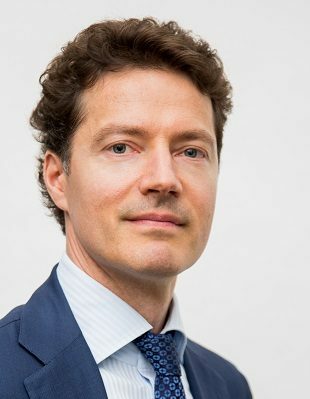 Before joining Orange Clover as a partner, he headed the Investment Management Group of the Linklaters Amsterdam office. Marcel specialises in investment management matters (including regulatory law), private mergers & acquisitions, joint ventures, private equity, restructurings, corporate governance and general corporate advice Marcel has a particular focus on the structuring and formation of private funds – including real estate funds and private equity funds – and their downstream investments and related regulatory matters. He also advises investment funds and their sponsors on reorganisations, (co-) investment vehicles, club deals and joint ventures and on fund raisings, as well as institutional investors on their investments therein. Marcel also regularly advises on cross border structuring, including setting up and reorganising international holding structures, cross border mergers and demergers, cross border conversions and transfers of seat, and setting up joint ventures. In addition, he regularly publishes in legal journals on matters that are relevant for the investment management market. Marcel’s clients include national and international listed and privately held companies, private equity houses, investment funds and their managers and institutional investors. An overview of transactions in which Marcel has been involved can be obtained upon request. experience Pien has over 15 years of experience advising on corporate and regulatory matters, having worked for Loyens & Loeff from their Amsterdam and London offices. Pien advises on all corporate matters and specialises in public and private mergers & acquisitions, private equity, joint ventures, restructurings, corporate governance, and regulatory and general corporate advice. She also has experience in corporate litigation, inter alia regarding M&A disputes, squeeze-out proceedings and disputes between shareholders. In addition, she regularly publishes in legal journals on matters that are relevant for the public and private M&A market. Pien’s clients include national and international listed and privately held companies, private equity houses, family offices, investment funds and institutional investors. career to date 2015 to date: Partner, Orange Clover 2002 – 2015: Senior Associate, Loyens & Loeff (Amsterdam and London) languages Dutch native English fluent An overview of transactions in which Pien has been involved can be obtained upon request. We advise privately held and listed companies, financial institutions, energy and utility companies, investment funds, fund managers, private equity and venture capital houses and financial advisers on all sorts of public and private mergers & acquisitions (including share deals and asset deals), joint ventures, partnerships, investments, restructurings and reorganisations, listings and delistings, and equity offerings. We also advise listed companies on matters relating to market abuse regulations and transparency requirements. We have particular expertise in coordinating large and multi-jurisdictional transactions, offering a seamless service to our clients. We also advise on employee participation plans, corporate governance, general corporate law and commercial contracts, including service level agreements, outsourcing agreements, franchise agreements, distribution agreements, agency agreements and license agreements. We advise privately held and listed companies, private equity and venture capital houses, financial institutions, energy and utility companies, investment funds and high net worth individuals on the setting up and reorganisation of (often tax driven) international holding structures, joint ventures and partnerships. This includes the formation of Dutch corporate entities, such as private limited liability companies, cooperatives, foundations and (limited) partnerships. We also advise on the financing of (intermediate) holding companies and operational companies through equity and/or debt, including related security rights and guarantees. We have particular expertise on cross border mergers and demergers of companies, cross border conversions of companies, cross border transfers of seats of companies, the formation of European companies (SEs) and European Economic Interest Groupings (EEIGs) and asset protection schemes. In addition, we advise on management agreements and commercial contracts, including service level agreements, franchise agreements, distribution agreements, agency agreements and license agreements. We advise banks and other lenders, as well as borrowers, listed and privately held companies, financial institutions, private investment funds and their managers, private equity houses and real estate funds on all strategic and transactional matters in the field of finance, security rights and guarantees. We in particular advise on acquisition finance, high yield bonds, corporate lending, asset finance, trade finance, structured finance, project finance, financial restructuring (including pre-insolvency restructuring), distressed debt transactions, alternative financing arrangements, cash pooling, Islamic finance and derivatives. We advise financial institutions, investment managers and investors on alternative funding partnerships and other alternative credit structures and debt funds (investing in for instance real estate, trade finance or infrastructure related loans), being projects driven by capital requirements for banks and insurers following from CRD III/IV and Solvency II. We offer you a one-stop-shop approach for notarial work. Notarial deeds are an important part of almost all corporate and finance transactions in the Netherlands. Whether it concerns the incorporation or amendment of articles of association of a company, the transfer of shares in a company or the creation of a right of pledge over shares in a company, a notarial deed is required. Our services include the preparation of all notarial deeds, resolutions, powers of attorney and other documents, in connection with our fields of expertise. We will arrange and coordinate the execution of all notarial deeds for you, as well as legalisations and apostilles, so that you will not need to separately engage a civil law notary. We advise a broad range of national and international financial institutions on regulatory matters. Clients include banks, asset managers, fund managers, investment funds, custodians, brokers, dealers, investment advisors, insurers, pension funds, trading platforms and other regulated financial services providers. Our services include advising on licensing requirements for accessing the Dutch market, ongoing requirements for regulated institutions, requirements relating to marketing financial services and products in the Netherlands and enforcement actions from or other dealings with the Dutch Central Bank (DNB) and the Authority for the Financial Markets (AFM). We advise financial institutions on strategic issues arising from, and preparation of their business for, the implementation of new (European) developments such as EMIR, AIFMD, MAR, MiFID II/MiFIR, PRIPS, CRD III/IV and Solvency II. We have particular experience in assisting and advising clients on obtaining the relevant regulatory approvals from the DNB and/or the AFM for acquisitions and reorganisations of, and divestments by, financial institutions. For more information on our regulatory expertise relating to financial institutions please refer to the Financial Institutions section below. We also advise energy and utility companies on issues relating to commodity derivatives trading arising from, and preparation of the business for, the implementation of new (European) developments such as EMIR, MiFIDII/MiFIR, REMIT and MAR. In addition, we advise listed corporates on matters relating to market abuse regulations and transparency requirements. We provide the full range of corporate, finance, regulatory and notarial services related to transactional and strategic matters in the fields of exploration, production, downstream gas and electricity and (sustainable) energy projects. Clients include energy companies, utility companies, (industrial) customers, energy traders, financial institutions, investors, project companies and local parties such as farmers. general corporate advice, including (project) finance, corporate structuring and corporate governance issues. We provide the full range of regulatory, corporate, finance and notarial services related to strategic and transactional matters in the Financial Institutions sector. Clients include banks, asset managers, fund managers, investment funds, custodians, brokers, dealers, investment advisors, insurers, pension funds, trading platforms and other regulated financial services providers. alternative funding partnerships and other alternative credit structures and debt funds (investing in for instance real estate, trade finance or infrastructure related loans). We provide the full range of corporate, finance and notarial services related to transactional and strategic matters in the industrial sector. Clients include listed and privately held industrial and manufacturing companies, multi-nationals and conglomerates. general corporate advice, including corporate structuring and corporate governance issues. We provide the full range of corporate, finance, regulatory and notarial services related to strategic and transactional matters in the investment management sector. Clients include listed and private investment funds (including private equity funds, real estate funds, infra structure funds, green energy funds, debt funds and hedge funds), fund managers, custodians, institutional investors, pension funds, asset managers and fiduciary managers, private equity and venture capital houses, and financial institutions. We provide the full range of corporate, finance, regulatory and notarial services related to private equity and venture capital transactions. Clients include private equity and venture capital houses, incubators, and informal investors, management of portfolio companies, start ups, private equity and venture capital funds and their managers. strategic issues arising from, and the preparation of the businesses of fund managers for, the implementation of European legislation (including the AIFM Directive and EMIR) and other regulatory developments. We happily accept our share of responsibility for the society and the environment we live in. We are committed to making a positive impact where we can. We actively support several good causes with our expertise, working on a pro bono basis for various organisations including Hivos and Mideast Youth. We also provide legal advice to various impact investment initiatives. We try to minimise the burden on the environment of our business, by running our office in the most sustainable way possible, including by reducing our carbon footprint and by minimising printing. We are always looking for new talented colleagues. If you are interested, please send your motivation letter with curriculum vitae (and if relevant, grade list) to info@orangecloverlaw.com. 1. These general terms apply to all assignments (opdrachten), including additional and follow up assignments, to Orange Clover Advocaten B.V. (Orange Clover) and all services at any time rendered by or on behalf of Orange Clover and/or persons associated with it, including its employees, partners, direct or indirect shareholders, group companies, advisors and third parties engaged by it. 2. 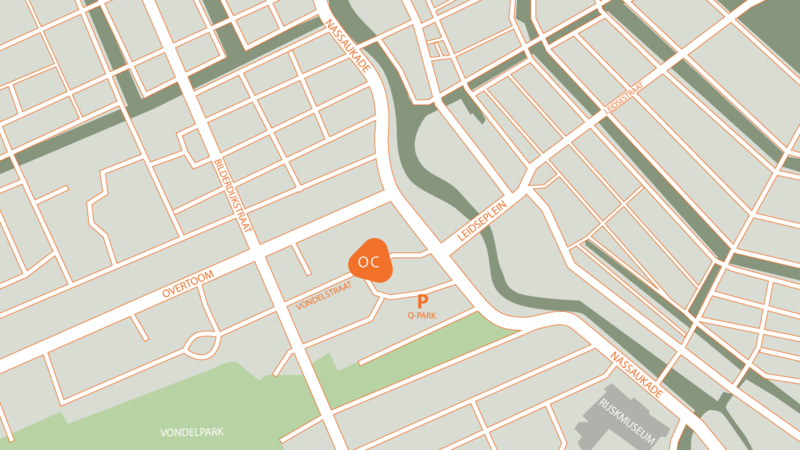 Orange Clover will operate as sole contracting party (opdrachtnemer) rendering the services. Sections 404 (which relates to the situation where it is the client’s intention that an instruction be carried out by a specific person) and 407(2) (which imposes a joint and several liability where an instruction is given to two or more persons) of Book 7 of the Dutch Civil Code shall not apply. 3. A person associated with Orange Clover acts exclusively for the account and risk of Orange Clover when rendering services. These general terms may not only be invoked by Orange Clover but also by each person associated with or formerly associated with Orange Clover. 4. Any liability of Orange Clover is limited to the amount paid out under its professional indemnity and corporate liability insurance (beroeps- bedrijfsaansprakelijkheidsverzering) in that specific case, increased by the amount of the applicable own risk policy deductible (eigen risico). Claims for damages will expire if proceedings are not commenced in the competent court within one year of the discovery thereof. 5. The client indemnifies and holds Orange Clover and each person associated with or formerly associated with Orange Clover harmless from and against any and all third party claims, including legal and other costs, in any way arising from or connected to the services at any time rendered by or on behalf of Orange Clover and/or persons associated with it for the benefit of that client, unless such claims result from wilful misconduct (opzet) or gross negligence (grove schuld) by Orange Clover. 6. In connection with services rendered, Orange Clover and Stichting Beheer Derdengelden Orange Clover may receive and hold monies from clients or third parties at an account with a bank chosen by Orange Clover. Orange Clover and Stichting Beheer Derdengelden Orange Clover will not be liable if such chosen bank fails to fulfil its obligations. 7. The legal relationship (rechtsverhouding) between Orange Clover and its clients will be governed by Dutch law and any dispute between a client and Orange Clover will be resolved in first instance (in eerste instantie) exclusively by the District Court of Amsterdam. 8. Dutch legal concepts expressed in English terms in these general terms may not always be identical to the concepts described by the English terms as such terms may be understood under the laws of other jurisdictions. In case of discrepancies the Dutch legal concept will prevail. 9. Orange Clover has published a complaints handling procedure on its website: www.orangecloverlaw.com. The complaints handling procedure applies to the relationship between Orange Clover and its clients. 1. Deze kantoorklachtenregeling is van toepassing op iedere overeenkomst van opdracht tussen Orange Clover en de cliënt. 2. 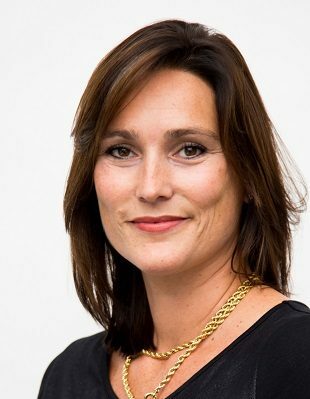 Iedere advocaat van Orange Clover draagt zorg voor klachtafhandeling conform de kantoorklachtenregeling. 2. Orange Clover heeft in de overeenkomst van opdracht via de algemene voorwaarden opgenomen bij welke onafhankelijke partij of instantie een klacht die na behandeling niet is opgelost kan worden voorgelegd ter verkrijging van een bindende uitspraak en heeft dit bij de opdrachtbevestiging kenbaar gemaakt. 3. Klachten als bedoeld in artikel 1 van deze kantoorklachtenregeling die na behandeling niet zijn opgelost worden in eerste instantie voorgelegd aan de bevoegde rechter in Amsterdam. 1. Indien een cliënt het kantoor benadert met een klacht, dan wordt de klacht doorgeleid naar Alex Gonzalez behalve indien de klacht over hemzelf gaat, in welke geval de klacht wordt doorgeleid naar Kees Hooft, die daarmee optreedt als klachtenfunctionaris. 4. Minimaal eenmaal per jaar voor zover er klachten zijn ingediend worden de verslagen en de aanbevelingen op het kantoor besproken en ter besluitvorming voorgelegd. Orange Clover is a trade name of Orange Clover Advocaten B.V., a private company with limited liability incorporated under the laws of the Netherlands (besloten vennootschap met beperkte aansprakelijkheid), with its official seat in Amsterdam, the Netherlands. Orange Clover is registered with the Dutch Trade Register of the Chamber of Commerce under number 59488301. We respect your privacy as a visitor of our website. We do not gather any personal data, any information about your visits nor any information about your IP address or about your browser via our website, other than as set out below.